So people have always been really interested in asking about the various cosplays that I have done. Whether it’s how something’s made, where I got my wig, how comfortable it is, people want to know. So I thought I would start a series of posts highlighting some of the cosplays I’ve done. I’ll probably start off only talking about ones I’ve made for myself, although there are some interesting commissions I’ve done that I’d like to highlight eventually. At first, I thought about starting with Alucard because he’s the big flashy one that everyone’s interested in right now, but I figured it was better to start at the beginning. 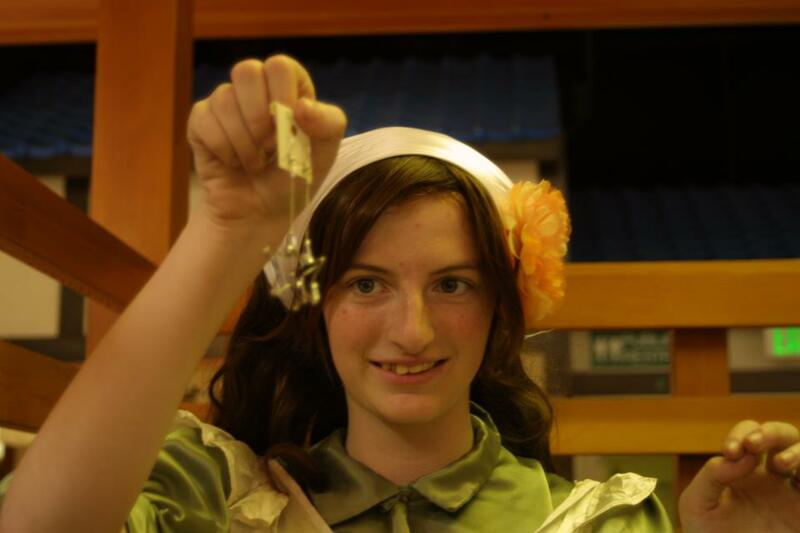 The first cosplay I made was for Anime Expo 2011, as Hungary from the anime Axis Powers Hetalia. I was still in high school, and my friends and I had all gotten obsessed with Hetalia after spending new year’s eve watching the first two seasons. We all giggled over this show about personified countries, and it wasn’t long before we started assigning characters to each other. Thus began my descent into fandom culture. We all agreed to go to anime expo together once school let out, and we had the rest of the school year to prepare. I was in Fashion class in school, so I had ample time to put together my costume, working both at school and at home. During a field trip to the fashion district in downtown LA, I bought my fabric, and used a couple store bought patterns from Simplicity ( #2325 and #4282 for those who might be interested). From a technical standpoint, Hungary is not a difficult outfit, but 15-year-old me was just learning how to sew, so everything was a bit more difficult; appropriate fabric choice was one of the things I’d not yet gotten the grasp of. See, I had an obsession with shiny fabric. Just about everything I made in class was made from some sort of satin, including Hungary’s dress and apron. The dress held together through its years of use and abuse, but I did end up having to remake the apron over the summer; I had picked out a lightweight lining fabric that just couldn’t handle the stress and frayed like you wouldn’t believe. If I made it again today, would I go the same route? No, probably not. But as a teenager, I would have accepted nothing else. Accessory wise, everything else in Hungary’s first run was mainly cobbled together from whatever I could find. I armed myself with a frying pan I brought from home (con security nowadays would never have let me through), and I had to double up on socks because my shoes were too big for me. 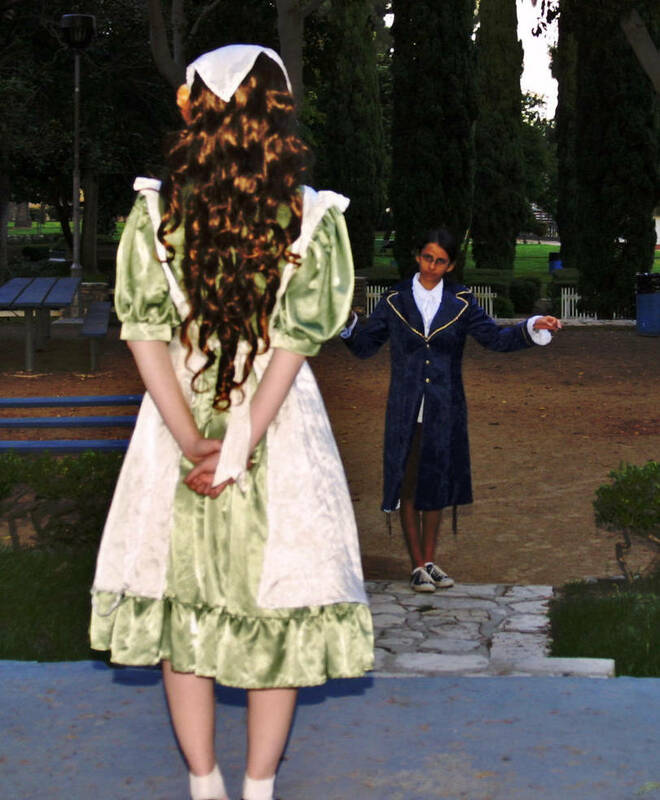 I wore just about every skirt I owned underneath to act like a petticoat. My first wig was a cheap Halloween store Dorothy wig that I unbraided, and used my actual hair (dyed brown at the time) for her bangs. It wasn’t fancy, but it worked. On the topic of wigs, I wore Hungary so often and for so long, I actually had 4 wigs for her. The first, as I said, was a cheap Halloween one I already had from an old costume. I had no idea how to care for wigs, and it soon turned into a frizzy mess atop my head. Her second was a generic wig I got off of Amazon, which I wore for a couple years, Compared to the first, it was a thing of beauty, long and silky curls falling to my waist. However, it also succumbed to the fate of getting super frizzy ends eventually, and not knowing how to fix it, I replaced it. It was with the third wig that I found the upside to name brand wigs: a gorgeous dark brown Hestia from Epic Cosplay, which became my default wig for a lot of looks (anyone see my Austria this year at ALA?). I still have that one, and have bought numerous Epic wigs since then. 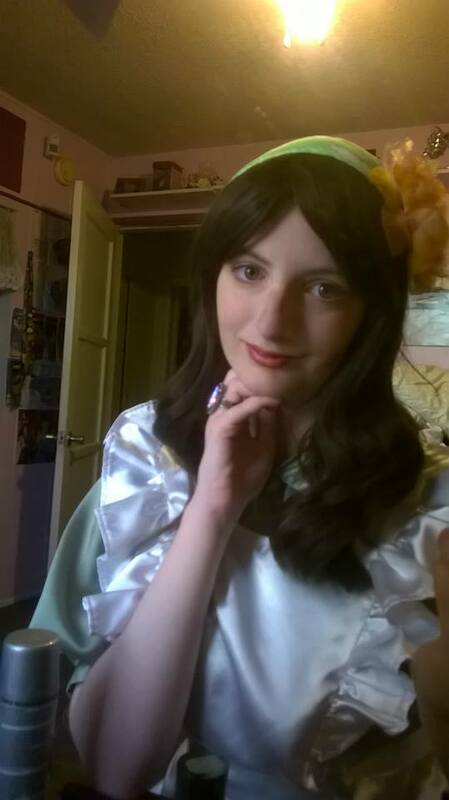 Unlike Hungary’s canon appearance, I usually went with a darker brown for her wigs, because I personally thought the dark brown would look better on me. Again, I would probably make a different decision now; in fact, my latest Hungary wig is a more caramel-colored Hera from Epic Cosplay, though I actually haven’t had the chance to wear it with her. But see, the beauty of making a cosplay is the control you have over it. You get to decide whether to go with canon or break from it, and it all depends on what you want to create. I went with unconventional fabric and color choices. It still got the point across, people could distinguish my cosplay from the other Hungary cosplayers, and most importantly, I HAD FUN. What really sets Hungary apart from my other cosplays is my history with her. After our first con, the cosplay bug really bit me and my friends hard, and we looked for every excuse we could to cosplay. We went to the mall, the beach, school, everywhere. Any time we hung out, the question was raised: was this a cosplay event? More often than not, the answer was yes. 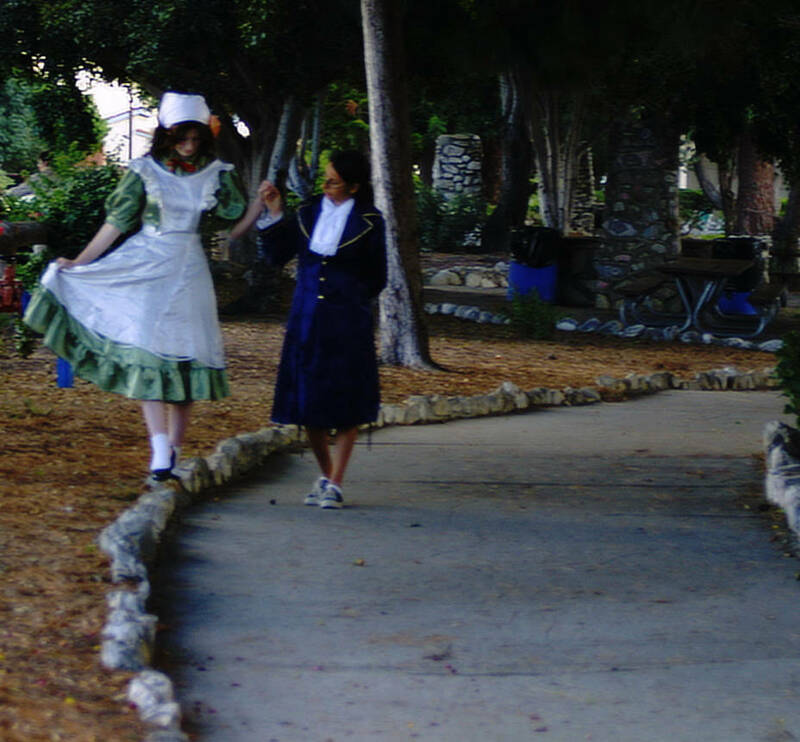 I probably wore that costume more often than anything else in my closet in high school, and just about everything in my life became somehow related to Hetalia. I even turned in a piece of fan fiction once as homework… My English teacher was not amused. To be honest, without Hungary, none of my other cosplays would have existed. 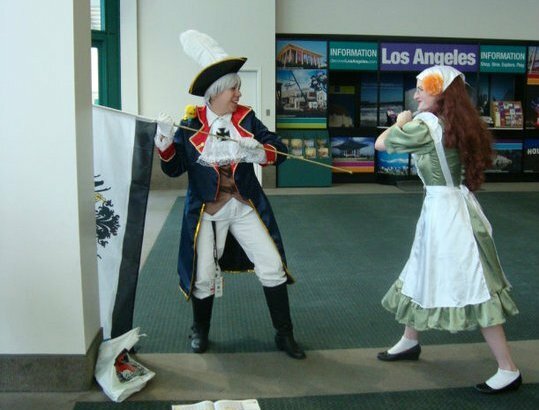 I fell so in love with the cosplay community, and I have so many good friends thanks to Hetalia. Seriously, about 90% of my cosplay friends first knew me as Hungary, and my whole group of high school friends bonded over fandom. For years, she became like a new part of my identity. Even out of cosplay, my friends and I called each other by our country names for years (seriously, I think I only changed all the contacts in my phone to their real names like a year and a half ago?). It was all new and exciting, and although it might be strange to someone outside the community, I’m really grateful for everything starting to cosplay has brought me. 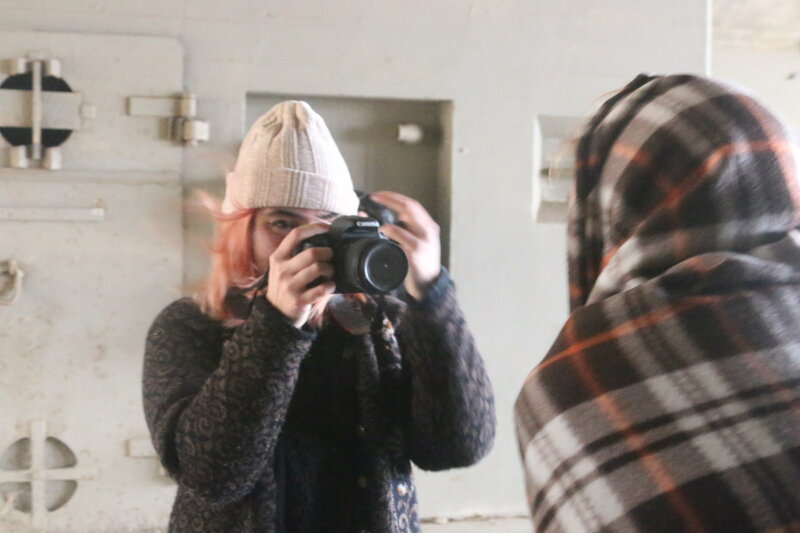 Before I got started cosplaying, I never would have thought about costume design as a career path; I got into fashion when I was about 11 and started watching Project Runway and America’s Next Top Model. I thought costume design was a little silly, actually, because no one expects to see someone walk down the street in a costume and go, “Oh yes, that’s a Jennifer Lidikay design!” Ha… Ha… If only middle school me could see the future, she’d have known that I am now the weirdo walking down the street in a costume. Not to mention the fact that movies and TV shows need costume designers too. Without starting to cosplay, I wouldn’t have my current dreams and ambitions. I actually don’t have Hungary’s original outfit anymore; I have a couple other versions I bought and/or made later, but I outgrew the little green dress I made in high school. She sat in my closet for a while, begging me for adventures and attention I couldn’t give her anymore. I didn’t quite want to let her go completely, selling the costume at a yard sale or Goodwill or anything like that. It meant so much to me, I couldn’t just let it go to a stranger who had no idea of its history. Still, it was unfair to let her sit in my closet, unused. Then the opportunity arose to give her a new life; a friend of mine posted to facebook that she was looking for an outfit for Chibitalia, For those who haven’t seen Hetalia, in the show, Italy as a child also wore a green dress, supposedly an old outfit of Hungary’s that was passed down. I messaged her about it, and we arranged for her to have my old costume. It was bittersweet to let it go, but I was so happy to know it was going to someone who would love it as much as I did. So although it’s not mine anymore, who knows; you may just see it floating around at a con or event somewhere! As for me personally cosplaying Hungary, she’s kind of taken a back burner for the time being. After I retired my dress, I was working on making her uniform for the show for a while, but I hit a bit of a snag with getting that done, and I’m not sure when I’ll have a chance to complete it. So while there’s no plans in the immediate future for her, she’s still waiting in the wings, waiting for her chance to once again take center stage. I will probably never completely retire her, because there will always be a place in my heart for my first fandom.